To improve your trading performances in the FOREX market, you need to adopt a certain attitude, one that’s based on patience and discipline. Since the FOREX market is open 24 hours a day, Monday through Friday, investing in currencies can be done around the clock, which can increase your overall stress level. 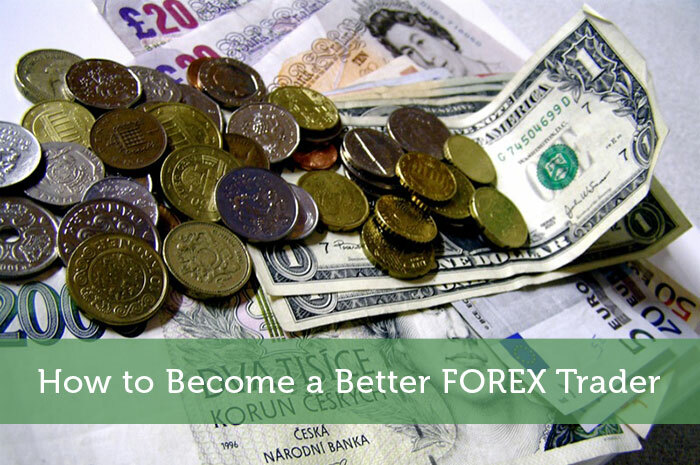 Let’s see how you can become a better FOREX trader by following a few simple steps, helping to make your trading decisions more consistent. Know yourself. Knowing the environment (the instruments you’re trading, being familiar with your trading software, general financial vocabulary) you’re working in is a good start, but you also need to know yourself, your limits, your strengths, and your weaknesses to be able to anticipate and control your reactions. It’s also important to re-assess yourself, so you can continue to improve. Always apply sound money management parameters. Money management is all about managing your capital by applying a tight risk management strategy. You need to apply tight money management rules to avoid losing all of your money (risk/reward ratio, maximum daily/weekly/monthly loss, etc.). Be patient and disciplined. You need to understand how important these traits are for successful trading – they will improve your behaviour, your performance, and decision making. In the long run, this will help you achieve your goals much faster. Acknowledge stressful moments and relax. Trading is a very stressful and tiring activity, as you are constantly evaluating your decisions, and those decisions can either make money or lose money. This level of decision making requires a very high level of concentration. If you are able to spot moments when you feel more stressed than usual, take a step back, re-evaluate, and regain your composure. Distance yourself from your emotions. As we mentioned before, you need to recognize moments when you are feeling more anxious, irrational, impulsive, or something similar, to be able to distance yourself from these kinds of feelings. It’s also a good idea to think about what triggers these stressful situations. Use the right trading tools. There are numerous trading tools that can improve your performance. For example, MassInsights™ Technology by UFX provides aggregated trader data on various asset classes, giving insights into the trading direction of any given asset, among other features. Choose The Right Forex Brokers. Not all forex brokers were created equal and each has different spread and fees, features such as guaranteed stops and negative balance protection, customer service and platforms. A suggestion may be to decide on the right platform first such as this trading platform guide, look at the brokers offering this platform and then compare the fees and features of those brokers. I have been wanting to learn about forex trading but most of the guides over the internet are quite confusing to read. When I came across your post I found it easy to understand. Hope to see more post like this in the future.